This is one of many free activities. Golden Carers has 1000s of activities and resources for senior care. Laughter is an intrinsic part of life. It happens spontaneously and unconsciously. Whether you’re howling with laughter or giggling quietly, laughter does you good. Laughter is known to be a powerful antidote to stress. However the benefits of laughter extend far beyond making you feel happier in the moment. Laughing doesn't just lighten your load mentally, it actually induces physical changes in your body. Laughter has been clinically proven to strengthen your immune system, activate and relieve your stress response and stimulate many organs. A good sense of humor cannot cure all ailments, but there is mounting data about all the positive things laughter can do. It's also contagious and free! 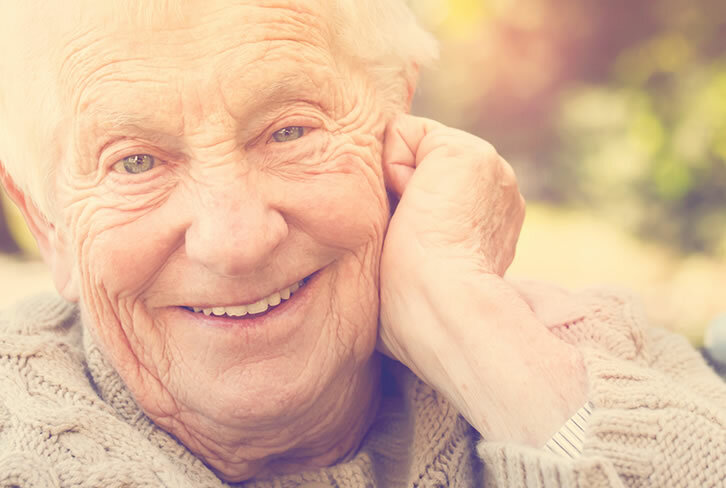 Instilling a culture of humour and laughter into long-term care facilities is good for everyone and may even improve the overall functioning and wellbeing of your clients. A sense of humour is a quality well worth having. 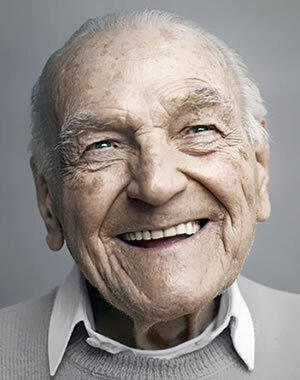 Norman Cousins’ 1979 book ‘Anatomy of an Illness’ brought much attention to the idea that laughter could promote good health. There are so many proven benefits of laughter. Laughter and humour positively influence the body’s healing system. Elderly residents in long-term care facilities often lack the necessary stimulation to sustain a cheerful frame of mind. The difficulty lies in the fact that what is funny to one person may pass unobserved to another. So it is important to incorporate funny and amusing activities into your regular program that cater to all tastes. Use a wicker basket to collect tidbits of humour. Folded pieces paper with written jokes and funny sayings, masks, silly toys, a clown nose, Groucho glasses, rubber noses, and noisemakers. Encourage clients to dip into the Laughing basket several times a day and pick up something to share, laugh at and enjoy. Encourage relatives and visitors to do the same. Make a deal with staff: every time they hear certain music e.g. The Macarena, or The Chicken Dance - they will start to dance right where they are! Play the music 3 or 4 times a day when clients are around. Songs for Seniors is a wonderful activity submitted by Joanne with lyrics to 80 songs for the elderly! You can find music to accompany the songs for a singalong on YouTube. Learn to juggle balls or wear a silly hat or nose just to make people laugh. Romance is in the air today, just north of the staff room. Be warned that Scorpio singled you out for a cake-to-face altercation... Aries are gentle people prone to meddling in other people’s affairs. Heaven knows what will happen to you if you don't sing 'Three Times a Lady' at the next Residents Meeting. But don't despair, gossip has it that your cheating won't be discovered and your ex is planning a comeback. Make paper fortune tellers with hidden messages. Many people will remember this game from their childhood. Watching babies or children play is a wonderful way to bring joy and laughter into your facility. We'd love to hear your feedback! 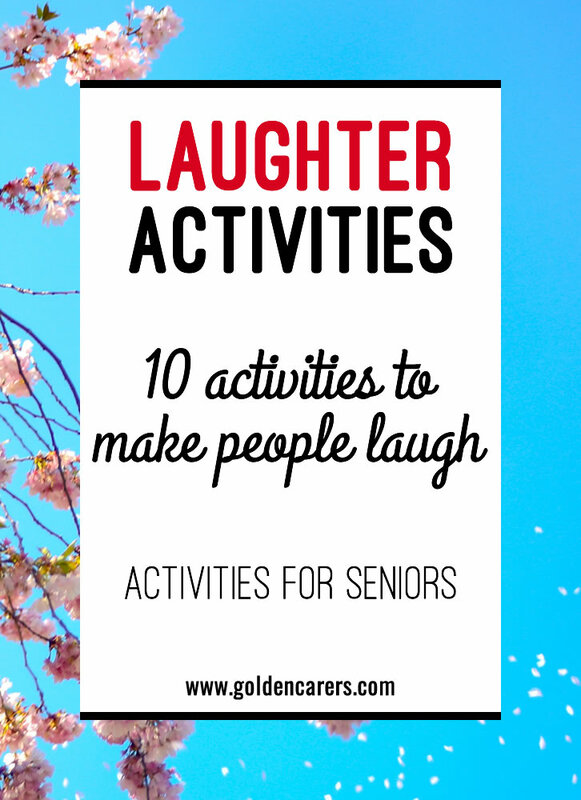 What activities do you find to work well to stimulate laughter? activity ideas for every occasion. Enter your email address to collect your free activities. Useful and some great activities ideas thanks for sharing . Thanks for your feedback Fanua! Great ideas! Thank you for sharing this! As I liked this article very much I forwarded it to three persons connected with elder care in dementia care facility. All of them appreciated it. One of them is a gerontologist running a day care facility. Thanks for useful tips. Once again golden carers have practical ideas that bring inspiration to us all who work in aged care. Thanks golden carers for providing and sharing your knowledge. Thanks so much Debbie, your feedback is much appreciated! I am certainly going to do these activities on my next shift. I can't thank enough to golden carers for all the ideas and tips been launched regularly. Since I become member of this site I am so glad that I can bring smile and joy to my clients. Now more laughter and giggles will spread in the AIR!! Thank you so much for your feedback Geeta, it is so much appreciated! Enjoy meaningful activity ideas that you can use with your clients straight away. A 12 month membership with unlimited access is just $49.99 USD! It’s quick and easy to sign up. I am always on the lookout for new ideas. When I saw your website, I thought 'golden find for golden carers'. Thank you so much for this resource. The answers to this quiz all start with the letter S! Offering meditation and other mindfulness activities like yoga or relaxation sessions are great ways to reduce stress and anxiety for seniors. How good is your vocabulary? Tick the best synonyms for these words. A fun quiz for seniors that leads to discussion and reminiscing! Make your residents feel special by honoring their pasts and talents with these activity ideas. How Can Golden Carers Help You? Thank you so much!! You provide such an awesome service to us! You are really appreciated.